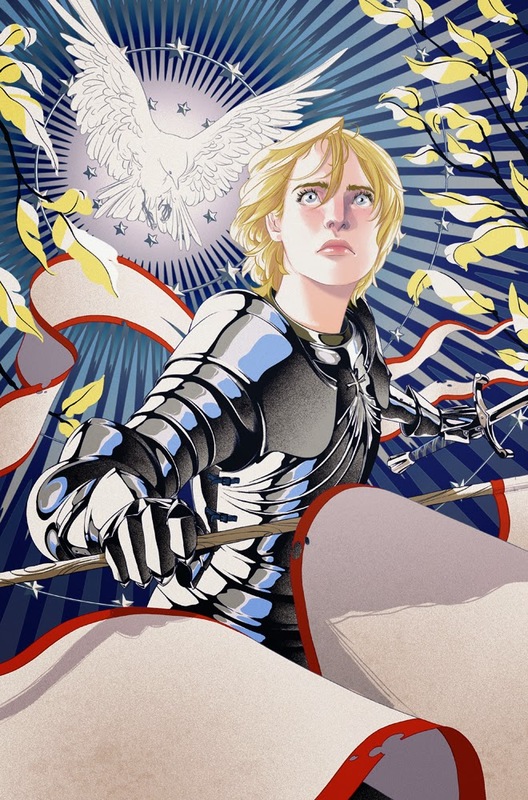 Goni Montes recently completed this beautiful cover piece of Joan of Arc for Lighthouse Catholic Media. Here is a portion a quote, given to Goni as inspiration, describing the virtues of Joan. "She was truthful when lying was the common speech of men; she was honest when honesty was become a lost virtue; she was a keeper of promises when the keeping of a promise was expected of no one; she gave her great mind to great thoughts and great purposes when other great minds wasted themselves upon pretty fancies or upon poor ambitions; she was modest, and fine, and delicate when to be loud and coarse might be said to be universal; she was full of pity when a merciless cruelty was the rule; she was steadfast when stability was unknown, and honorable in an age which had forgotten what honor was..."